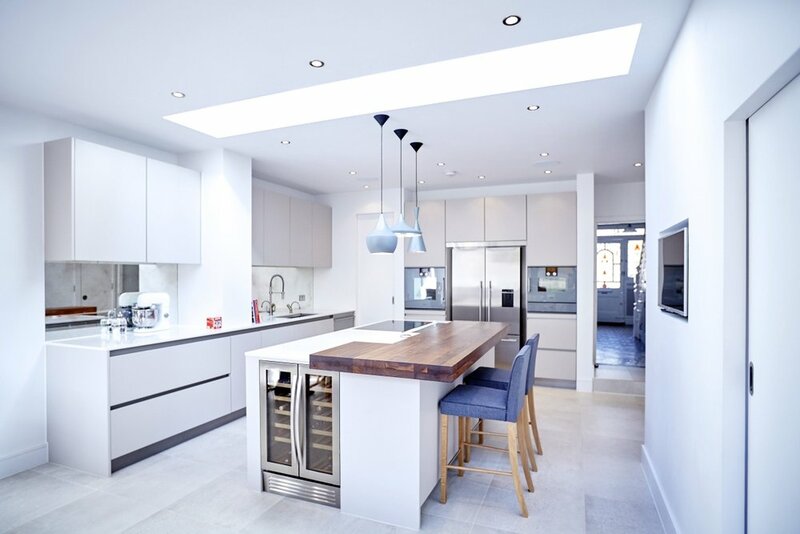 We were commissioned to extend and design a completely bespoke kitchen the owners of this lovely Victorian House in Herne Hill. The extension enabled us to really open up the space to be a large kitchen and dining area with separate utility and walk-in pantry. The use of large bifold doors going into the rear garden and a full-width roof light fills the space with natural light and warmth. The kitchen island with high-level seating, induction hob and integrated extraction offers a social space whilst cooking - finished off with stunning Tom Dixon pendants as the feature lighting. 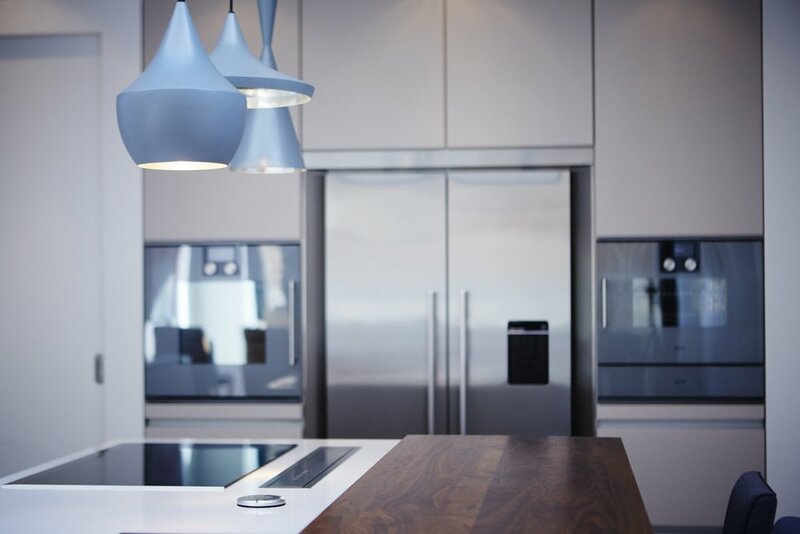 The kitchen design and layout offered plenty of room for the high-spec appliances by Gaggenau - making it a cook’s heaven!